REFSQ 2011 is over and has been a great success. Next REFSQ will take place in Essen again. We will be delighted to welcome you in March for the REFSQ 2012. 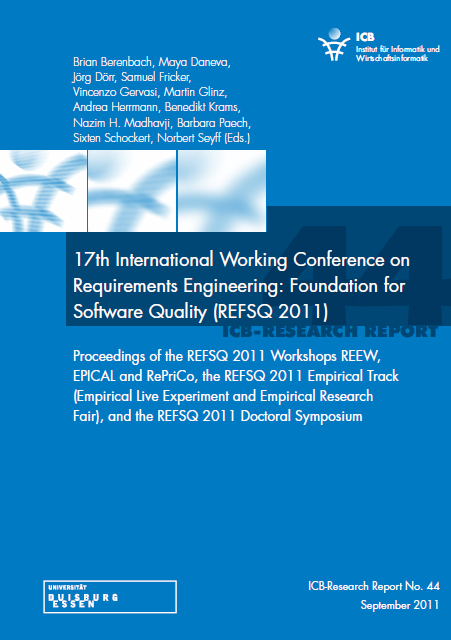 The REFSQ 2011 workshop proceedings are published and can be found here (Vol. 44). You can find all information about the REFSQ’11 schedules in the program or via the REFSQ’11 calendar. 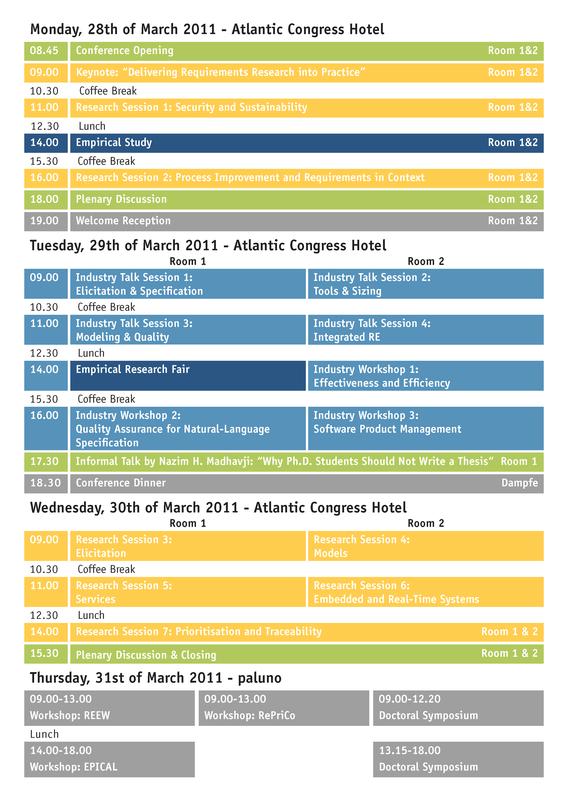 REFSQ’11 Conference will take place at Atlantic Congress Hotel Messe Essen. The REFSQ’11 Workshops on Thursday, 31st March will take place at paluno – The Ruhr Institute for Software Technology, University of Duisburg-Essen. See Directions & Addresses for more details. 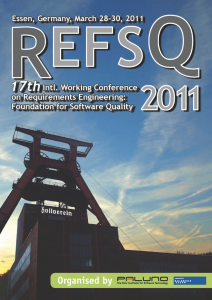 REFSQ’11 Program Guide is now available as PDF download. It will help you to plan your trip to Essen and your stay at REFSQ’11. This statement may come as a surprise to many when, in fact, there are an increasing number of students in various doctoral programs including Requirements Engineering. Ridiculous as it may sound, let us stop and question whether one should ever bother to write a doctoral thesis. Don‘t miss this event and a unique opportunity for a lively dicsussion! See Important Dates for more Detail!